Pinstripe opens with the loss of an excommunicated minister’s young daughter on a desolate train carriage. Our protagonist’s resulting descent into hell to retrieve his child is one fraught with dread and desperation, as he attempts to battle his own past demons along the way.Players are privy to Ted’s journey through hell, guiding him through puzzles and adventures in an attempt to reunite the father and daughter. 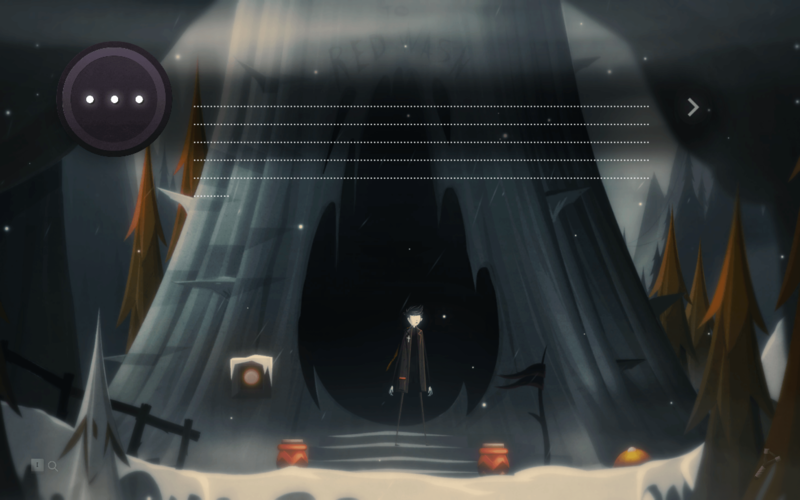 The eponymous Mr. Pinstripe is at the heart of this pretty depressing foray into the depths of the dead. Having kidnapped the young girl after some particularly creepy, lecherous dialogue, Pinstripe leads us on a terrifyingly dingy goose race, providing ever-so obscure clues to a wider story along the way. The story maintains just enough mystery around Ted’s past and Pinstripe’s intentions to keep you salivating at any such snippet of a clue. As the plot eventually pans out, events and past characters become more intriguing and some surprisingly twisted turns are taken. Much of the game is simply spent working out just what is actually happening, and such an approach to gameplay is seeing great traction from independent developers such as Thomas Brush. The narrative makes some interesting nods to its religious foundations. And yet, there’s always the sense that this almost allegorical tale could have taken this association further. For a game based on religious themes, concerning itself with the good/bad dichotomy of religion itself through the figure of an estranged minister seeking revenge in hell, Pinstripe shies away from any real discussion of the subject matter it has so confidently broached. With so much potential for strong depth of character, it’s heartbreaking to realize that Pinstripe’s characters are, from the outset, incredibly two dimensional, often appearing as shallow. This narrative setup could have been lauded as an intricate examination of several issues through a much more prevalent wider message, if only the damn characters had been filled in. As it stands, flimsy dialogue and shallow character design largely prevents any personal messages of the intricacy of religious dichotomies. Such characterization issues even hinder basic character emotional association. Initial scenes display an idiosyncratic dialogue set from young Bo designed to fill you with cutesy feelings of protection and heightening your sense of loss when the vulnerable child is inextricably stolen. And yet Ted’s own reactions to such an event consist of running to the left, running to the right, or jumping. Aside from some obligatory questions for the inhabitants of hell concerning the whereabouts of his only child, Ted’s character is rarely afforded a moment of reflection to really hammer home these feelings of loss and desperation after the act itself. The echoes of young Bo’s cries for help ringing out across the landscape of hell itself meet the strange aloofness of a vulnerably, twiggy hero who presents little recognition of something he was presumably distraught about. Gameplay revolves around a side scrolling puzzle platformer, with decidedly hit or miss puzzle systems. While easy and fairly intuitive puzzle structures allow for quick understanding and satisfaction in completion, Ted’s flailing jumping mechanics often prove tedious and frustrating. The imprecise nature of such jumps will see you skirting around platforms, or simply drifting past them as if they ceased to operate as structures in the exact moment you were airborn. 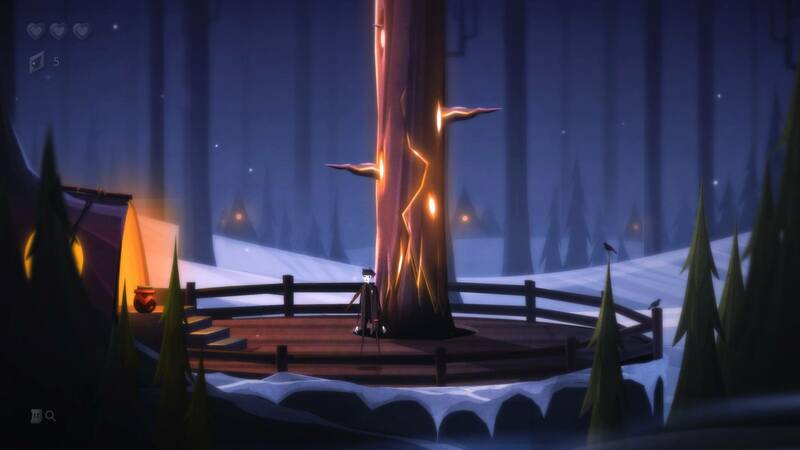 Pinstripe does implement logical puzzle solutions. Switch based puzzles are tantalizingly simple yet require a good deal of memory and willingness to retrace your steps for anything you’ve missed. While you’re flitting between screens, however, you might as well pay attention to the collectable items that reside throughout each level. To fully complete your collection, however, you’ll need to move between levels multiple times, opening new areas and learning new lock combinations to access each shiny new clue. A boost for organic storytelling but a slightly tiring endeavor to say the least. Unfortunately, these collecting mechanics seem to have been tacked on to the game in an attempt to elongate the experience. They offer an in depth look at the way the game world works, but are often cumbersome to come across. Similarly frustrating is Pinstripe’s desire to attempt to integrate combat into its already rich story world. Enemies begin appearing in the form of ghoulish black balloons, which in the grander setting of Hell feel distinctly psychological. It’s possibly the most bizarre addition to this game world, albeit one that’s easily eliminated with a few hits from your trusty slingshot. However, it’s nothing on the final boss. It’s so disheartening to see such a story and atmosphere rich tale undercut right at the final hurdle. Severely underwhelming, this final foe can simply be taken out by some well timed crouch-snipe combinations which ultimately descends into one handed button mashing drawn out over an extended period of time. 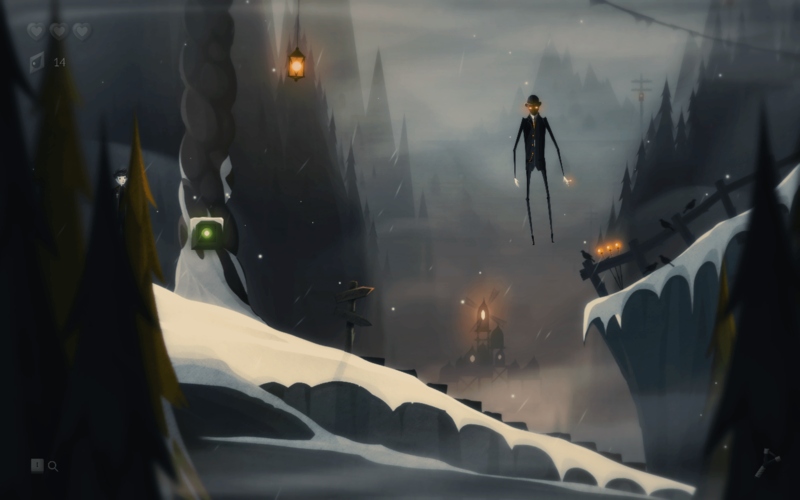 For everything Pinstripe lacks in its combat and collectable attempts, it more than makes up for in its detailed approach to atmospheric design. There’s a distinct feeling that this game should have been created as an atmospheric narrative puzzle adventure and left on the high that saw it there. Over-developing seems to have taken place to divert from this pure core. Such details create an incredibly rich play environment, that rewards curiosity with tantalizing tidbits of information. 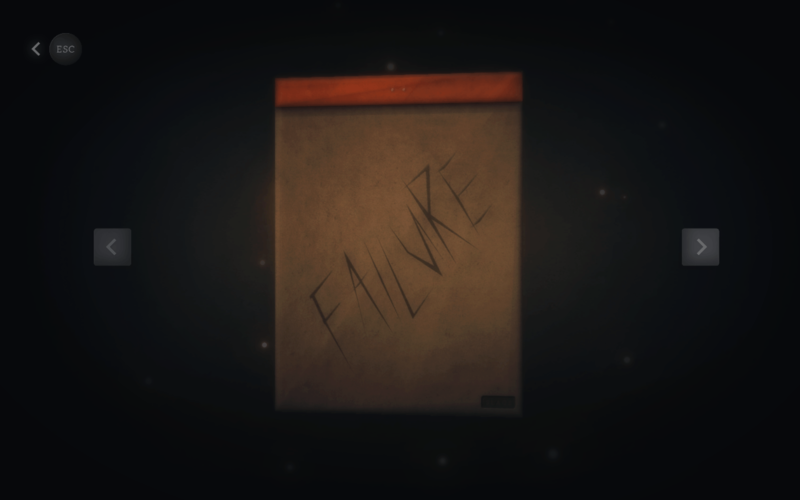 Looking at the back of Bo’s notebook, for example, reveals the ominous scratching ‘failure’ on the back cover. From start to finish you’re gathering fragments of the world around you. Be it a small scratching on a notebook, or a mysterious photograph, every clue adds to the rich tapestry of this creepy, hauntingly desperate iteration of hell. As new information is slowly revealed through your own organic discovery, different aspects of the game world unveil their meanings in new and enlightening ways. Perhaps what ties this experience together so hauntingly, however, is the use of the childish aesthetic to accompany it. From jumping on beds to chatting with your talking family dog companion, there’s a distinct sense of fairy tale prevalent throughout. From the unique visual design that combines simplicity with smokey colors to present a dreary depiction of childish Gothic-ism. The dialogue seems to hit a sweet spot of childlike wonder later in the game even if it’s difficult to swallow in the first act, a feat that sits surprisingly well in a game designed to incite dread in every screen slide. Pinstripe stands as a poster child for leaving a game on a developmental high. Tacked on collectable and combat features feel forced throughout gameplay, and often attempt to detract from the majestic atmosphere created in this design. 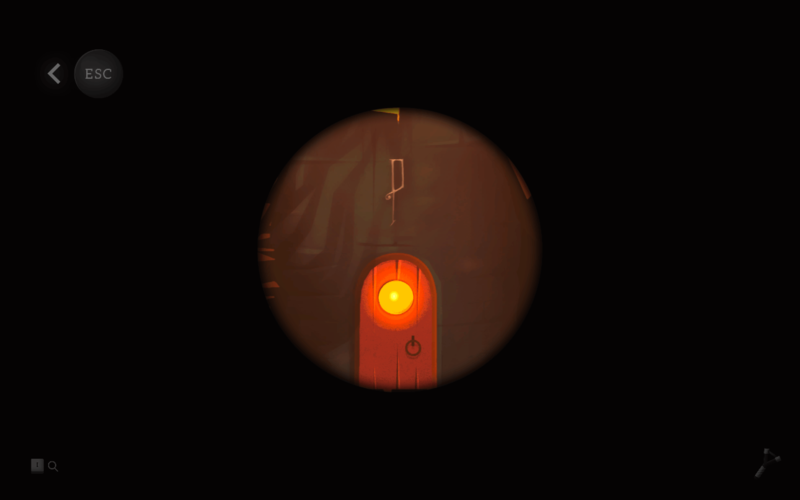 While the puzzles remain fairly simple and certain mechanics require a few seconds of patience, they can be incredibly rewarding and follow a satisfyingly logical structure that will have you exploring hell itself and coming back with a few clues of your own. 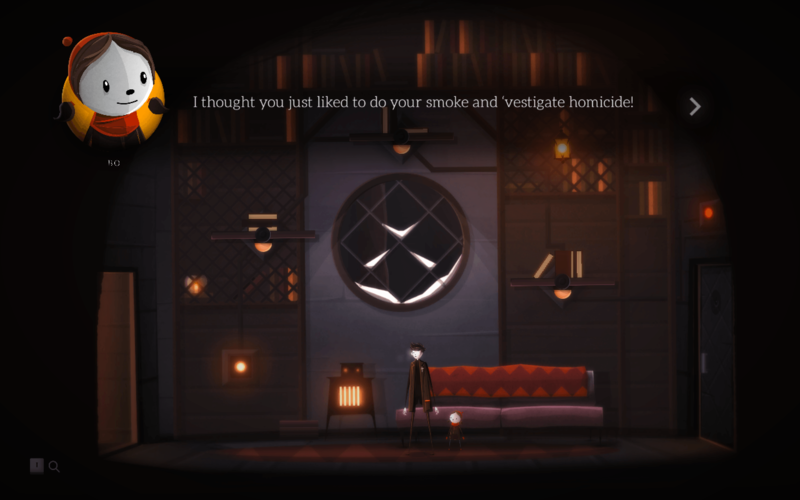 Pinstripe stands out in its storyline, which on the surface presents a great deal of thoughtful deliberation over religious dichotomy and acts of revenge. While it’s often frustrating that the attention to detail in the design of the game world doesn’t translate to character depth, a story full of emotion, twists, and a knack for breeding natural curiosity carries this often troubled experience to the finish line.